Electrocoagulation nowadays are widely used in effluent treatment plants to remove contaminants especially those containing suspended and dissolved solids in particular phosphates, fluorides and other constituents by means of electrochemical reaction with significant contribution in terms of COD reduction of the original incoming wastewater. Depending on the strength of the influent, selection of materials and other operating factors such as stirring rate, usually efficiency measured in terms of COD reduction can be as high as 60 - 70%. 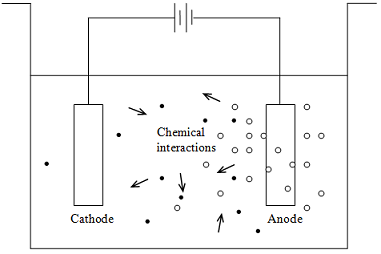 Typical setup basically consists of a reactor with two separate metal plates, one acting as anode which will be the sacrificial electrode because it will corrode to become cation ions that will bind together the contaminants (known as a coagulation process) while the other metal plate, the cathode will be subjected to formation of deposits on its surface known as passivation which will overall affect process optimization. There are different types of electrode materials used as the anode and the selection will depend on the type of application and the chemical properties of the influent. The most common being aluminum and iron which are widely used in the waste treatment setup for the dairy, semiconductor, pulp and paper, textile, including fertilizer industries whereby phosphates and fluorides form bulk of the major contaminants present in the wastewater. The anode will be subjected to oxidation and the free ions once released will combine with the contaminants to form precipitates which can then be removed out from the system by various means including sedimentation or filtration. Since the formation of floc results in bigger size particles and with higher density, essentially this also improves the performance in terms of separation of solids from the liquid. In addition, since the wastewater is subjected to electrical field, this will also cause side chemical interactions, especially when you have oil present in the wastewater and this will help towards breaking up the emulsions. There are also several advantages associated with electrocoagulation in particular when most engineers agree that the treatment processes using this method also produces better water clarity, discharge quality closer to neutral pH, lesser conductivity and to certain extent works as well to reduce concentration of heavy metals. Removal efficiency is basically determined by several factors and among them that are most widely studied is on the area of increasing the current density and electrical potential, whereby this will accelerate the release of ions and thus led to increased pollutants removal rate. However, passivation still remains a problem with the use of this system as metal deposits that builds up on the surface of the electrodes will significantly reduce the performance and this will lower the efficiency. One of ways to deal with this is to conduct periodic cleaning of the electrodes. Overall, compared to conventional methods of treating wastewater involving physical and biological processes, electrocoagulation is generally considered far more effective in removing pollutant. Not only that, it is also compact and space-saving and while there are arguments in terms of cost calculation, but however, to most experts' opinion, it is actually cheaper to maintain in the long run. 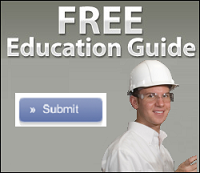 WasteWater System is created to help novices and experts alike to grasp the knowledge and achieve awareness about various means plus resources available related to wastewater treatment system technology. All the data and information compiled here is based on years of hands-on approach and experience including research studies detailing every aspect related to plant operation in order to come up with the best design. Hopefully, whatever is written here can be as helpful as possible to serve as a guide and to use towards troubleshooting purposes.